What better time is there to bring out a smashing mixtape than summer time. 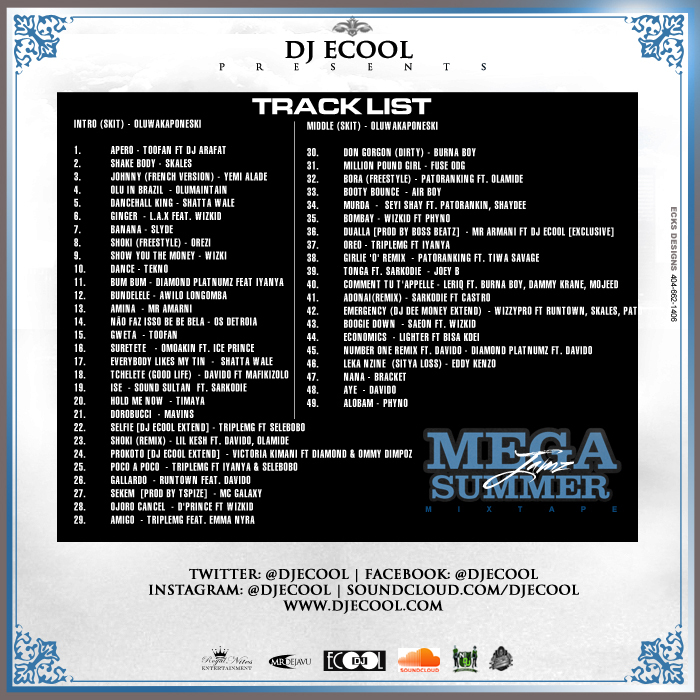 This mixtape “Mega Summer Jamz” features some major AfroBeat songs from around Africa like Angola, Tanzania, Kenya, Ghana, Nigeria, & Uganda just to name a few. 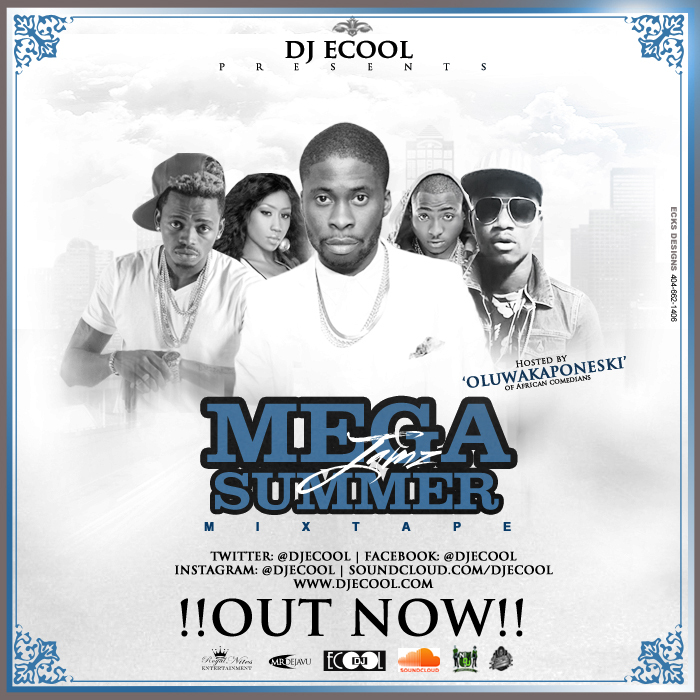 DJ Ecool teamed up with African Comedian’s own OluwaKaponeski to host this mixtape by adding two comedy skits at the beginning and in the middle of the mixtape. !!! !